Warkworth Community Service ClubRecord Owner? Log in. Its mandate was to raise funds to provide financial assistance for local youth organizations that existed. It soon became apparent that in order to fulfill that mandate the Club would require additional members, further more, some local farmers were also interested in joining the Club, since they too were businessmen. 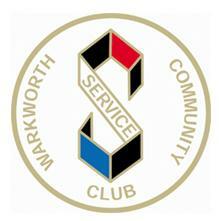 Thus the doors were opened to a wider group and the Club became the Warkworth Community Service Club. The Club raised money through dances, street dances, and bingos. The first Donnybrook was held in 1958. The Club has evolved over the years and now has a broad spectrum of men and women members. From those beginnings in 1947, there are now over 100 members supporting a very aggressive fundraising and community support agenda. Have something to say about Warkworth Community Service Club?